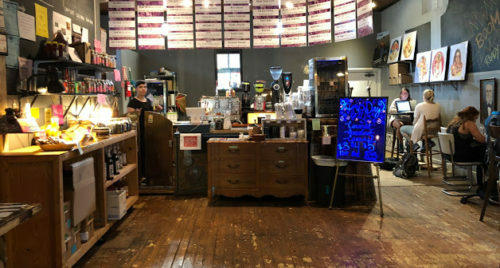 An evening at Mama Mochas, an LGBTQ and minority friendly coffee house in Auburn, Alabama, was disrupted when a 20-year-old man stood on a chair and began shouting racist slogans. The man was asked to leave by staff present, including the cafe’s manager, Richard Trammell. As he was leaving, the man flashed his handgun. “As he was walking out, I told him not to come back, and he showed me his gun,” said Trammell to the Auburn Plainsman. Staff have barred the man from the cafe. Auburn Police are not taking any action against the man, who was identified by police as Zachary Taylor Hay. The cafe, and those who are a part of it, aren’t letting the incident phase them. “My staff are incredible people. I’m so glad to have them and to include ALL races, genders, sexualities, nationalities, religion in our community- but white supremacists? Y’all can go somewhere else. We will NOT tolerate intolerance,” Gill posted.